WILL THE OROVILLE CAL DAM FAIL? That 35 page intelligence report (put together by former British Spy Christropher Steele) keeps cropping up in the news. On the CBS Evening News they referenced the report and also reported that Carter Paige (mentioned in the report as having met with Russian operatives) is somehow involved. To see the 2:53 minute news story Click here. I highly recommend reading the report I covered in this pretty thoroughly in the 1/21/17 newsletter. Click here. The Mailwizz program wasn’t so “wizzy” last week, as it took me three times to get it out, the last time on Saturday. My apologies. Gaia, what is the probability of the spillway failing at Oroville, California? They have passed the greatest danger for the time being. Yes, they will receive much more rain, but at the same time they continue to shore up the spillway with tons of rock, so the probability of it holding is over 80% at this time. They will continue to keep a close watch as the waters will again rise faster than they can release water, but it will not breech the dam or spillway. Anne writes: Concerning the recent mass stranding of the whales at the top of the South Island of New Zealand, is there any reason for this amount of carnage and is it somehow connected to the energies of the full moon. How is this energy also so often traced back to other major world events such as earthquakes, etc? Gaia, why was there such a huge beaching of whales in New Zealand—did it have anything to do with the full moon? Just a little, Tom, but the real reason is that there are shifts in the magnetic grid and they became confused. And yes, there is also the problem of having enough food, plus the whale souls themselves want to cut down on their participation. There cannot be just one reason. Food supply, their direction finders, full moon all contributed to their beaching, but the fact that so many people came to their rescue is quite heartening and helped to raise not only their vibrational level but contributed to raising the vibrational level all over the world as people genuinely were moved when they viewed the video recordings of the efforts to save the whales—even to forming a human barrier. Acts of kindness like this do not go unnoticed, nor unfelt. The supply of food for these whales is less than normal. It is a cycle. Anne writes: I always enjoy receiving your newsletter, and marvel how accurate it is. I would like to ask a couple of questions of Gaia if I could. 1. Is there a higher purpose for the heatwave in Australia where people and animals are suffering in record breaking temperatures? Are summer temperatures just going to keep rising in the Southern Hemisphere? 2. Is it possible to lessen the size or effects, with MBOs, of the earthquake and tsunami off the coast of New Zealand near Christchurch that is expected in August this year? More or less normal. There will be more rain than normal, causing flooding in some sections of the country prone to flood. It will be hot again in their summertime—hotter than normal. Gaia, why is Australia having such hot temperatures accompanied by numerous bush fires? And will they be in for flooding next winter their time? Quite so for the flooding and as you were told back last September their summer, which is now, would be hotter than normal. Again, this is part of my cycle I have already explained numerous times to you where I need to clear the old growths of the forests to make way for new growth. I also said that if people choose to live in remote forests and such that are subject to fires then they must build their houses to withstand fires or suffer the consequences of having their houses destroyed by fire. All of this provides learning opportunities for those who lose their houses and for those who are firefighters and others affected by the fires. Will the hot temperatures continue? Yes, they will not abate, but will gradually moderate as they grow closer to their winter. Yes, they will. It will be more rain than normal. Life is at its extremes, you could say, for them. Actually very high, Tom. You might say things are heating up there again and the 7.1 they [recently] experienced is the start of several of that intensity or higher for 2017. Pressure has been building and they can expect a year of more than one above 7.1 and yes, even above the 7.5 you mentioned. Yes, one. A smaller version, shall we call it, of the one that struck Japan. So, a word of warning to those who read this in New Zealand. Do not tarry on the coast should you experience a large earthquake this year. “Head for the hills” is quite appropriate advice. That area is in the bull’s eye you could say. As there will be a tsunami created, it will be a little off shore. Is there any way to lessen the effects of the quakes and tsunamis that are supposed to occur in August for New Zealand? 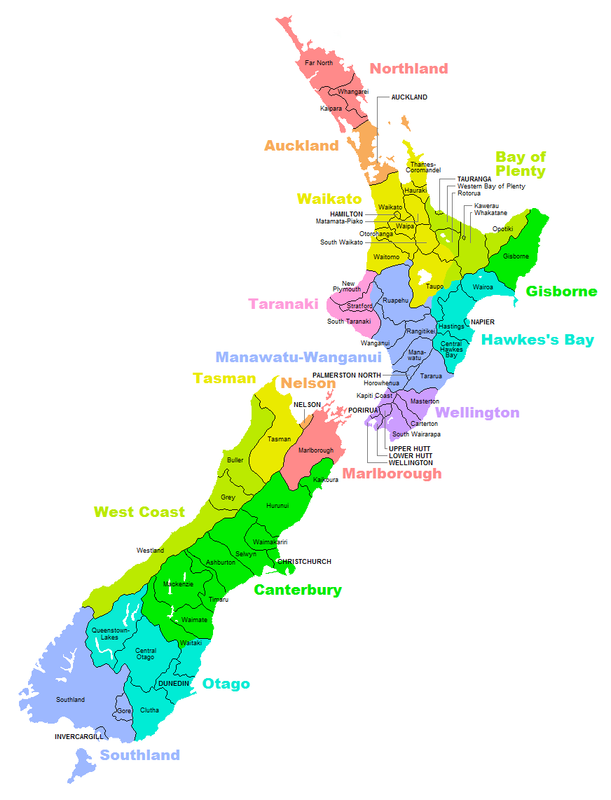 They have fair warning that if they wish to live in the Christchurch area of New Zealand or anywhere along that coast, if there is a large quake then they need to move immediately to higher ground. Theo, what is the probability of the Russians handing over Edward Snowden to the United States in 2017? That scenario has yet to be completely written, shall we say, but the probability would be around 60%. Not a done deal, but events could cause that percentage to rise or fall in the coming months depending upon what Putin feels would be a good chess move against the United States. Daralyn writes from Galveston, Texas: It looks like a large piece of glacier will soon break away from Antarctica's ice shelf. I wonder if this will help to expose evidence of ancient cities there. Click here. Gaia, if and when the large sheath of ice breaks off in Antarctica, will that expose ruins of an early civilization, or does this ice sheath consist of only water, so that when a part of it breaks off there is only more ice? There you have it, Tom. The ice sheath is just that, ice setting on top of water, and not land. This calving or breaking away from the main ice sheath only raises the ocean levels a tiny bit with the melting, as the water displacement by the ice means no change with the ocean levels of the world. Speaking of ocean levels, why haven’t we seen anyone mention the exact rise in ocean levels [previously said to be 10 inches from 1/1/15 to 12/31/16 and 12.5 inches by the end of this year], when everyone is talking about them going up? Yes, as was explained previously, oceanographers have been blocked from releasing this information. 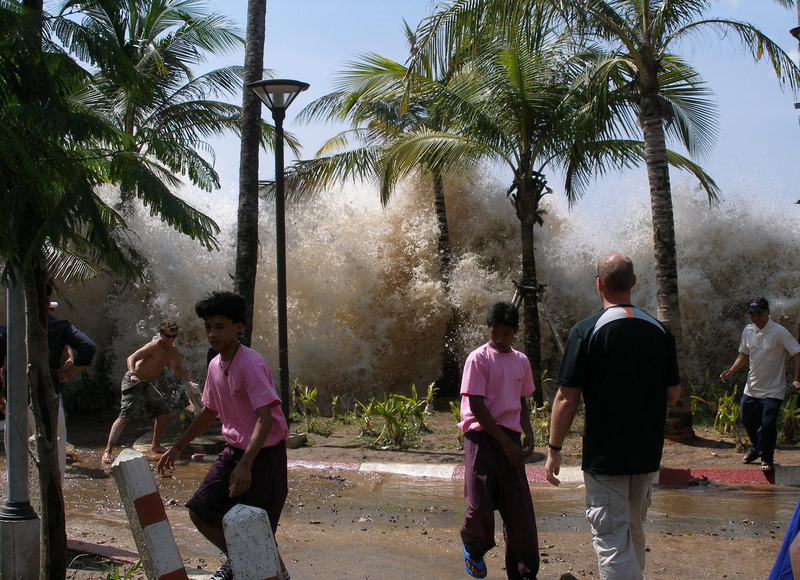 They are allowed to say the oceans are rising, but not how much as it would cause panic in some coastal communities. They have been hoping it was just a onetime blip and not that the water level has speeded up its rise. This year will be the time when they are forced to admit the rise. Was I seemingly blocked from bringing this to the attention of the public? Just a little bit as we want the timing to be just a little later. Theo, is it you or Antura, or my guides or someone else is giving me all these questions to ask Antura? A little bit of both. We want you to stay engaged with Antura as it is on your soul plan or contract , and I might add has been for many thousands of years. Yes, we have to work through the probabilities, but it does grow closer. There are still many questions to be asked in preparation for the task you signed up for. We all want you to be prepared, and continuing to supply you with questions broadens not only your knowledge, but all your readers as well. Your readers all act like candles in a dark room since, when they read these questions and answers, their knowledge goes up right along with yours. There are still many questions you have not asked nor thought to ask yet. For my new readers, Antura is an ET and a member of my soul group or “cluster,” who was introduced to me in 2008 by Theo. Since then, I’ve asked thousands of questions, many of which are included in a book entitled FIRST CONTACT: Conversations with an ET, which goes into detail about what appearance he has, his planet in the Sirius B Solar System, their spacecraft, our universe and even the other three universes adjacent to ours. He’s a member of a “first contact” team coming to Earth around the first part of October. Here are more questions I asked during the past week. Antura, was Ken abducted by the Zetas, and if so, how many times? Yes, he is correct, Tom. He was abducted in the middle range—around 40 or so times. What is the probability of Dena and I visiting you more than once? Quite high. We would say at least one and possibly two or three more visits, depending upon how your information is received. That was not the case before, was it? We are more confident as the date grows nearer. Will we operate on Earth time while on the ship? Yes, inside the ship it remains the same day or night as the crew members can retire to their own compartments whenever they choose. So, you will be able to maintain your normal sleep times while on the ship. Will you be able to keep up with a bunch of hyper humans? Yes, and if needed I will have assistance from other members of my team. Bob writes: I assume the many people on Earth are experiencing the same feeling of negativity as I am after the U.S. elections, Brexit, refugees, etc. Are these feelings of negativity being recorded by ETs in the flyovers? Is it affecting the activities of the ETs in respect to our planet? Or am I sensing this wrong? Wasn't the negativity that led to our election result registered by the ETs? Do they not have the ability to be this precise? Antura, I’m asked about the recording of negativity by ET scientists. Could they see a difference, let’s say, at the inauguration as compared to the last one? Yes, I would confirm that there would be more people with more rigid belief systems than attended the last swearing in of a President. From our standpoint, this gives us the opportunity to better understand the thinking of a mass group of people. In a way we are able to see how far you’ve come and how far you need to go to reach a point of unconditional love of your fellow man and woman. So, your instruments are sensitive enough to read not only our auras, but also our thoughts, is that correct? Yes, and many more sophisticated readings I cannot explain at this time. Anyone care to guess what readings those might be? Antura, if I gave you a typed piece of paper, since you have previously said you do not speak English, how would you read it? Yes, that handy verbal universal translator will automatically translate the writing or typing on a piece of paper to thoughts. It even translates the feelings of the person—in this case you—who wrote or typed the paper. Therefore, that gives me much more information than what is on the paper itself. Antura, what are the top five or ten things you would like us to see on the ship? Just a couple at this time, Tom, as you have been at this session for a while. We have what I will describe as an electronic library that you can access to research anything we wish to know about a subject. You will find this of interest. Plus, naturally, we will want you to see the living conditions how people from 37 worlds live in their portions of the ship. Does the ship have a Captain? Most certainly. There has to be someone who had the ultimate authority, although they act differently than your idea of a captain would be or is. You can think of more questions on that subject alone. There will be no one on board from Dena’s and Matthew’s [my wife and son-in-law] home planets to greet them? No, but we will be happy to show them where they do originate from. I’m surprised that Dena’s home planet would not have a representative? You’ll understand when we cover them. Her planet representative tells me to tell her they send their love to her as what she is doing and will do in the future will help not only mankind, but also their planet to progress. Jo in Seattle writes: I had an incredible experience last night and am very curious if it was a UFO. I believe I may have experienced this same phenomena years ago as well. I woke up at 4:11am, walked into my en suite and saw this very bright light coming thru the window. It was like a red glow, then flash of blue light, then green glow. It did this sequence several times for about 30 seconds and appeared to be coming from my street or over my house. I walked over to my window to get a closer look and it stopped. Seconds after that, I noticed there was this bright red glow/blue flash/green glow emanating from behind the rooftops of my neighbors across the street like it was in their backyards. The lights only pulsated for a few seconds and then just disappeared. Could you please ask Gaia what this was? If it be celestial beings, what were they doing, why was it over my home? I am grateful for all you do, Tom, the souls you connect with, and the wisdom you share! Jo in Seattle asks what was responsible for the glowing red, green, and blue lights on Feb 9 over her house and why? The ship was doing readings, but also wanted to be seen, or at least seen partially with the lights. Jo was not picked up, but was just the subject of a visit, along with those in the neighborhood. It was naturally known that Jo had a connection to you and that this incident would be reported. Antura, are there any androids on your ship? No, there are not. They are not needed on this ship. Androids have special skills that you will learn about in the coming years. But yes, there were times when they were utilized during the Star Wars period for very dangerous jobs in order to protect ensouled beings from various dangers. I thought of more questions about the Captain of the mothership for the next session. Antura, what are the duties of the Captain of the space ship? It is the overall performance of this large craft that is like a small city, Tom. The ship still needs someone in charge to say go here, then go there and communicate with the star fleet from wherever in the universe the ship is. All of these tasks keep the captain quite busy, although not on the level of, let’s say, the average human. Yes, you could describe yourselves as on steroids. What appearance does the Captain have? Is he a humanoid? Yes. But different from homo sapiens. Over 1,000 universal years old at this point, Tom. He is quite seasoned in his job and has spent many lives on board a spacecraft in almost every capacity to prepare himself to be a captain. Is the Captain from a Sirius B planet? Yes, he is. Of course, you will have a chance to meet the Captain and have a proper greeting upon your arrival. This is a big occasion for the ship to have Earthlings on board, even though the upper time lines will have appeared, it will be special for all concerned. How long has the captain of the ship been at his job? I’m told several hundred years. Yes. This is an experienced captain. You will enjoy meeting. Is the Captain male or female? Male, but there are many female captains in the fleet. Antura, how many planets of Sirius A and C are inhabited by intelligent species? Fully half are able to have life on them, and as you will one day do to travel to Mars, this was done in the distant past as different species or races of beings would expand to the neighboring planets. Some are not habitable at all—at least not in your concept at this stage. Do the scout craft dock from underneath the mothership or to they enter from the side? Both. Each has its own bay and depending upon what tasks are being performed above or below will depend on where the craft enters the ship. You thought it would be one or the other, but it is more sophisticated, shall we say, than that. And yes, there is some stacking with ships on top of ships. I’ll begin with one of my own. Recently the warning light appeared on our car dashboard signaling a low tire. I asked my son to go and air it up. He said the pressure was down to 15 lbs. Two days later the warning light appeared again. When my wife and I went to the gym to work out (I always request MBOs for not only the drive to and from, but also for a good workout), afterwards we drove across the street to a Kwik Kar Automotive. The manager informed me that if the tire was repairable the cost would be $14.99. We returned home. Later I asked our son to take the car to Kwik Kar. I requested a Most Benevolent Outcome (MBO) for the repair of the tire to cost no more than $14.99. When they examined the tire the repairman said it was unrepairable and wanted to sell us a tire. My son reported what the repairman said, and I told him to have the tire put back on and instructed him to go to Discount Tires, where we’ve bought tires in years past. The tire repairman said we need tires in the near future, but fixed the tire leak (caused by a nail) for FREE! We did not know it at the time, but free repairs are part of their service, even for tires they did not sell you. Our tires came with the car when we bought it. Naturally, we will buy our new tires from this company. Angie writes: Jane, my friend Marie's sister, was rushed to the hospital last week because she was found unconscious in her bathroom. 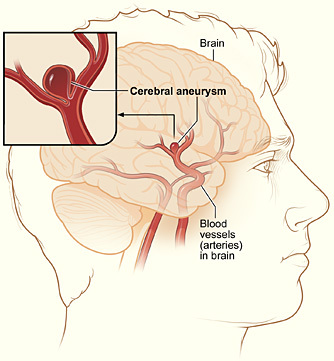 The diagnosis was suspected brain aneurysm after undergoing a CT scan. She regained consciousness, but was kept in the ICU due to swelling of the brain and internal bleeding. When Marie called to tell me about this, I immediately said a BP for Jane and the doctors and nurses treating her. The medical specialist who was handling Jane's case was complaining about the clarity of the CT scan results. He scheduled a procedure involving inserting a coil through her artery to burst a bubble in a vein in her brain that was supposed to cause the aneurysm. Jane underwent another CT scan just before the procedure. This time, the result was negative of any aneurysm and she didn't have to undergo the procedure. Everyone considered it a miracle including the medical specialist. Saying Benevolent Prayers (BPs) are extremely powerful, as will be proven over and over again in the coming years. Robert writes: As far as your readers are concerned, what do your sources advise regarding the credibility of your readings in light of this "low probability prevailing" idea? It all appears to be a crapshoot, regardless of what they relate to you in your meditations. Why should we believe them? I am interested in their response. Thank you for your consideration. Gaia, can you explain why low probabilities occur, as it does not appear to be anything that can be relied upon? You might as well say it’s 50/50, especially when I’ve been told countless times that our souls set up these scenarios thousands if not millions of years in advance? Yes, there are some or even most of the events that are set in stone you could say, Tom. But you have also been told that your souls can be writing what will come next very close to the actual event happening. There are thousands of probabilities when you are far out from a specific date, such as the recent Presidential election, and just look at the number of people vying for that office. Those were all probabilities, and they slipped away one by one. You were told before that Mrs. Clinton had the highest probability, which was borne out in the popular vote. Yet, the passion shown by your souls weighed in on your souls’ decision to go with the lowest probability, as they could see that there were people sitting on the sidelines that would become involved that would never have had Mrs. Clinton won the Electorate. All of this allows for your soul growth, including learning how our Benevolent Prayers can positively affect the outcome and actions of others. This then was the deciding factor—your soul growth speeded up faster than it would have been with a Democrat as President. Yes, this is very complicated as your souls are constantly registering your progress, and collectively there was much more opportunity for raising your vibrational levels in this direction. This was a last minute decision by your souls. In the long run, you will see the benefits, which you cannot see at the present time. 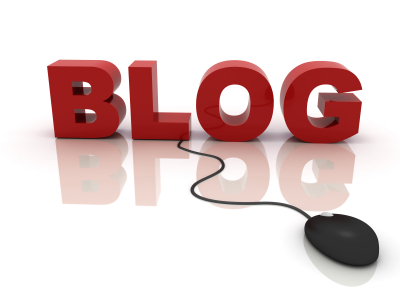 David writes: The result of this past Presidential election has me perplexed... I don't see myself as either a Republican or Democrat; as a matter of fact I AM now registered as an Independent. Mr. Trump's recent insistence that he should have also won the popular vote has me thinking he has the emotional maturity equivalent to a 10 year old. I'd like to think that a sizable percentage of those who cast their vote for Trump actually did so exactly as I did (only in reverse), thereby expressing their extreme dislike for Clinton. Could you ask that question please? What percentage of Trump's numbers was a result of people feeling anti-Clinton rather than pro-Trump? Whenever I write to you, Tom, I always like to remind you just how much I look forward to your newsletters. Thank you for all that you do! Theo, what percent of Trump voters voted for Trump because of their dislike for Hillary Clinton? Interesting question. Shall we say fully over 30%--which is, yes, a lot--cast their vote as a protest vote against Mrs. Clinton. Remember that each candidate had voters voting for them simply because of their dislike for the other candidate. Some of this was manipulated by false or fake news stories, and for some voters it was gender bias. The Russians had their hand in the election process due to Putin’s extreme dislike for Mrs. Clinton. So, go with the figure of 30%. You’ll be quite close. NASA recently released a close-up study of the Andromeda Galaxy. It is really amazing. Here is the link. Click here (and then scroll down to the video). Gaia, in the Andromeda Galaxy, how many planets are inhabited by intelligent species? You will not be surprised when I say millions, and yes, even billions of planets. There is a mixture of planets that are not at your level of development as they are not on a “fast track” to speed the raising of their vibrational levels. Then there are many planets that are above—some slightly and others thousands to millions of years in advance of yours. You will have much fun in the coming thousands of years in exploring and bringing those tiny bits of negativity to planets and then they will do the same all across the universe. They will regard these times as very ancient one day in the future. Sami writes: I have read your book on Atlantis and Lemuria and I am currently reading First Contact. I was hoping that in your spare time you could ask the following questions to Gaia (Mother Earth). What truth is there behind the legendary city of Shambhala? Was there ever an Atlantis of the Sands? Also known as Ubar, the city that sank under the sands of Arabia. Was there ever a pirate utopia? Commonly called Libertalia? What truth is there behind El Dorado? Is it true that there is an entrance to Agartha in Antarctica? Gaia, was there a city called Ubar or Atlantis of the Sands in Arabia? There was not, Tom. A good fable that took on a life of its own. Was there ever a pirate utopia called Libertalia? This is a confusion of stories you might say, Tom. Yes, there was a city off the coast of Cuba that was swallowed up when Atlantis first sank 31,000 or so years ago. Then, later on, there were one or two villages that harbored pirates, just as there is today on the coast of Africa. Those, too, eventually flooded and exist no more—just legends. Speaking of legends, any truth to the legend of El Dorado? No, but you can read more about this and we can revisit the legend. There is always a little truth in legends, but you would need to read the legend. I had previously received that most interior Earth people want nothing to do with us, with the exception of the Lemurians at Mt. Shasta and perhaps one other, but only in dreamtime.